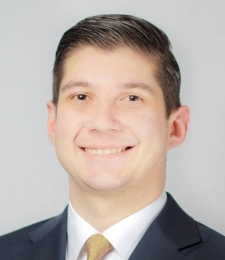 Ryan McSherry is an associate at Goldberg, Miller & Rubin’s Philadelphia office. His practice primarily focuses on the defense of clients in general liability, insurance and healthcare fraud litigation, automotive negligence, uninsured/underinsured motorist, and premises liability cases. Ryan graduated from Villanova University School of Law. While in law school, Ryan served as a judicial intern for The Honorable George A. Pagano of the Delaware County Court of Common Pleas and for Chief Magistrate Judge Mary Pat Thynge of the United States District Court for the District of Delaware. While in law school, Ryan also served as the Director of Recruitment and Special Projects Coordinator for the Moot Court Executive Board. His notable achievements included a semifinalist finish at the Tulane Mardi Gras Sports Law Invitational and a second place award for his brief at the Pepperdine Entertainment Law Moot Court Invitational. Before joining Goldberg, Miller & Rubin, Ryan defended professional liability actions for a local civil defense firm. Ryan also worked as a summer associate assisting attorneys with defending catastrophic personal injury actions on behalf of national corporate clients. Ryan graduated from The Pennsylvania State University in State College, Pennsylvania, in the spring of 2013. While at Penn State, Ryan double majored in Political Science and Philosophy. Outside of the office, Ryan enjoys reading, exercising, and discovering new restaurants in Philadelphia.